Sheriff McFadden says, the department ended the ICE's 287g program in Mecklenburg County to rebuild trust and strengthen public safety. 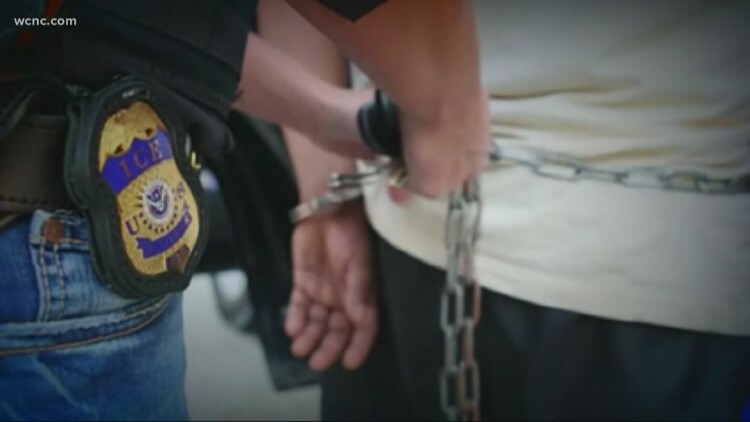 CHARLOTTE, N.C. — After a series of immigration raids this past week, The Mecklenburg sheriff's office released a statement. ICE representative, Sean Gallagher suggested that dangerous people were being released from jails because of the termination of the 287g policy. "People charged with serious crimes as well as people being released and the termination of 287g are two separate issues," Mecklenburg sheriffs said in the statement. The statement expressed that Sheriff McFadden would embrace the opportunity to work with ICE officials if they address violent crimes in all levels of the community, not just those committed by immigrants.